Time to plan an unforgettable Road Trip in Slovenia ! Here is my guide to help you define your perfect Slovenia Itinerary - practical tips, where to go, photo inspiration and day by day suggestions. I wish you a wonderful trip. Slovenia is located in Central Europe. 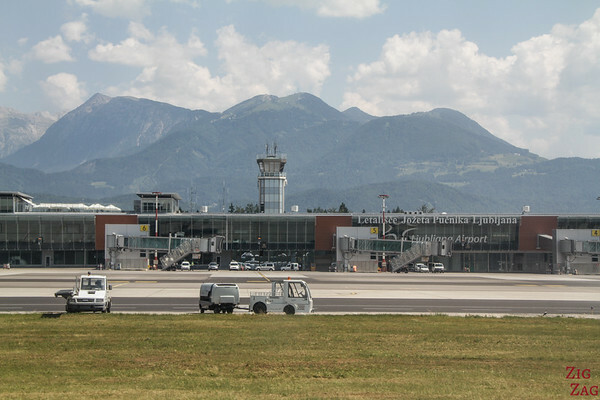 Its main airport is established in the center of the country, 30 min North of the capital Ljubljana. And it is also only 30 min away from Lake Bled. It is a small airport, easy to navigate. You can also access Slovenia by road from Austria, Croatia and Italy. So you can land in Zagreb and create a Slovenia-Croatia road trip. Weather - you can find 3 different climates in Slovenia: Mountainous, continental and Mediterranean. However there is always a clear distinction between the seasons. It gets really warm in Summer and cold in Winter in the mountain areas (with snow) - just consider overall seasons. For Month by month, you can never predict how the weather will be like. And anyway, it can change very fast in the mountains. Activities - It also depends on the type of activities you want to do: skiing, visits, museums, rafting... Some activities and monuments are closed in Winter. The Vrsic mountain pass in closed in Winter. So make sure the things you want to do are open. Overall it is often considered that May, June and September are the most enjoyable months to travel to Slovenia. Driving in Slovenia is really easy. There is a great network of Motorways and roads are kept in good conditions. You can check my Driving in Slovenia article for all my tips, all the rules, a video and information to facilitate your experience. 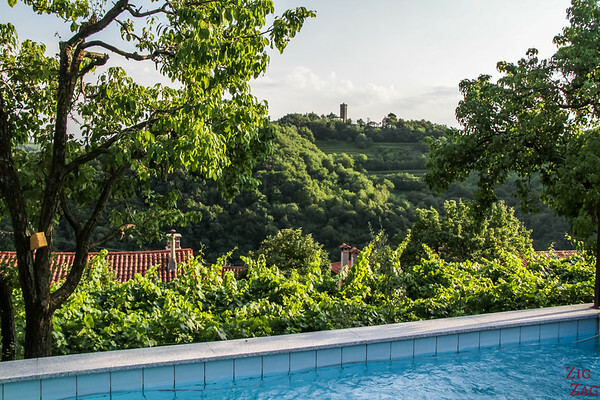 You can find all types of accommodations in Slovenia: hotels, guesthouses, B&B, rentals, hostels... They also have great campsites. You can find more information and some suggestions on my article about where to stay in Slovenia. Slovenia is stunning everywhere with green hills or mountains and plenty of trees. However there are region more touristic that others. Detailed maps with all the most beautiful locations are included in my eBook: The Road Trip Guide-Slovenia. You can see my Best of in my article about the best things to do in Slovenia. Airport to Lake Bled - 30 min. Spend the morning at Lake Bled. If you are courageous, you can climb to Ojstrica viewpoint for sunrise. Then head to Lake Bohinj and appreciate the wilder area. Explore the sourroundings of Lake Bohinj. Appreciate the view from Ukanc, climb to the unique Savica Waterfall and take a lift to Vogel for incredible views of the Julian Alps. Visit the amazing Postojna cave. Then head to the Fascinating Predjama Castle just 15min away. Explore the fascinating town of Piran, climb on the walls and in the tower, get lost in all the small alleys. learn about the salt industry and relax. Either drive straight to Ljubljana to have 2 full days there, or stop en route to see the fishing village of Izola and the historical town of Koper. River cruise, Gastonomy tour, Castle visit, Street art overdose... there is much to do in this charming capital. Ot you can just stroll, relax and enjoy the vibe. Head East to the Soca Valley. IN Summer, take the Vrsic pass (attention your GPS will indicate a faster route that goes through Austria and Italy). 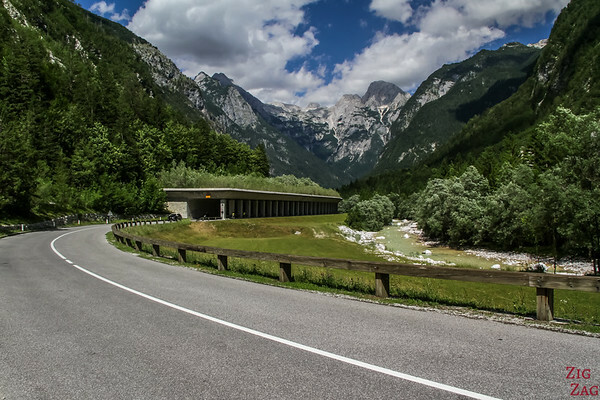 Stop at Lake Jasna and along the road for great mountain panoramas and river views. Check out my Soca Valley article. The Soca River continues to the South. You can walk to some beautiful waterfalls (Virje, Boka, Kozjak...) and explore the Stunning Tolmin Gorges. Check out my guide about the Tolmin Gorges. If you are lucky to have more than 7 days for your Slovenia road trips, below are some extra ideas. You could spend the day at the magnificent Logar Valley, get to the Rinka waterfall and drive the Solcava Panoramic Road. Read my Logar Valley Region Guide. And you can head east to visit Vineyards and explore historical old centers and their castles like in Maribor or Ptuj. Traditional Meals are really big portions! Nothing very specific to pack for Slovenia. You can check out my general Travel Checklists to get ready. 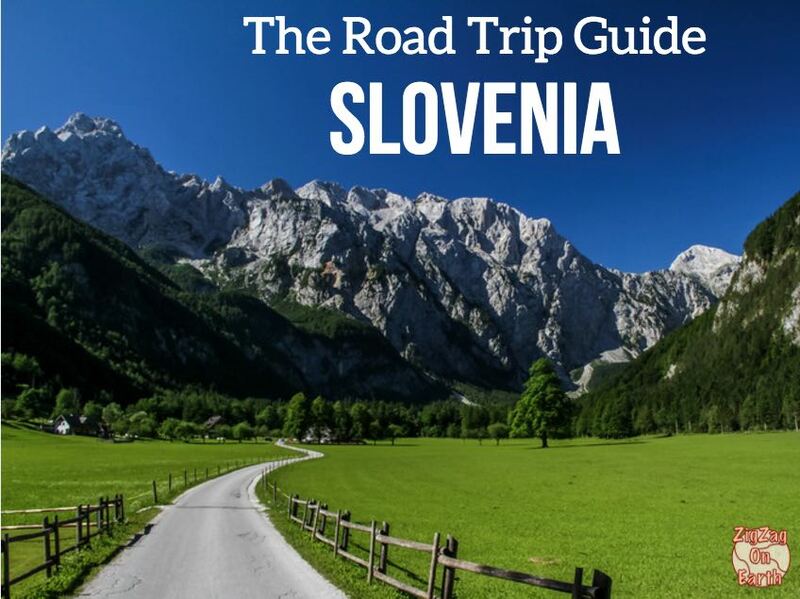 Ready for you Slovenia Road Trip? Hello! I really appreciate this to get me thinking about an upcoming road trip my friends will be taking. However, we will be starting and finishing in Split. Do you have an itinerary recommendation for a 7 day trip from Split through Slovenia and back to Split?! I am sorry I don’t have time to create personalised itineraries. What kind of transportation did you use? A rental car? As I’m only 19, I’ll have to do some research on that as most companies require you to be at least 21 and over….